As we note in this post, specifics often vary by state, so consider this a good starter list as you address these issues together as a new couple. They aren’t for everyone, but the need for them may be increasing as the average age of marriage continues to rise. In fact, in 2018, both men and women got married, on average, at the oldest ages to date: 29.8 years old for men and 27.8 for women. To see patterns from 1890 until today, the US government provides a fascinating graph. 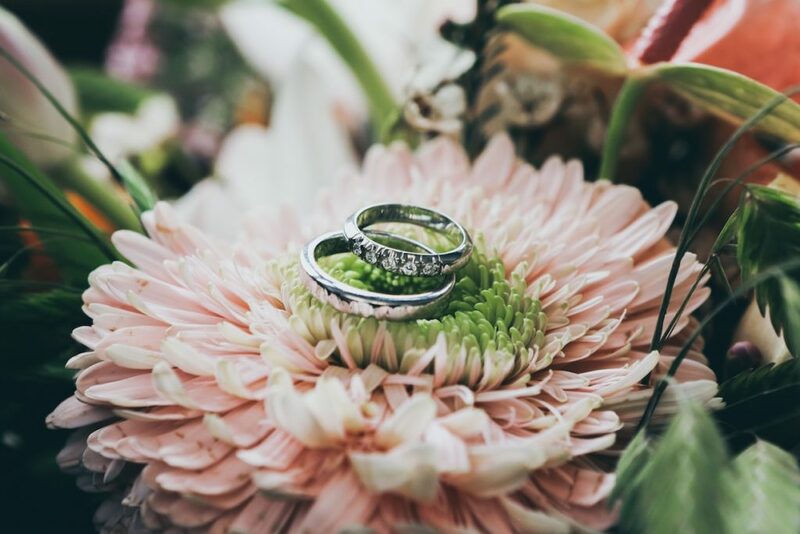 From a legal and financial perspective, this means that increasing numbers of people are now entering marriage with more assets, which may suggest that more might benefit from a prenuptial agreement. If you’re already married, then it becomes a marital agreement or post-nuptial agreement. What assets do you currently own (pre-marriage)? What assets does your future spouse own? What debts do you have? What about your spouse? Do either of you have ongoing child support or spousal support payments you need to make? To what degree do you want to combine the assets you bring into the marriage? How will you want to handle them after you’re already married? How do you feel about joint bank accounts? Investing together? Will either of you bring children into the marriage? Prenuptial laws vary by state, although in each state throughout the country, it’s considered a contract between two partners that generally focuses on property division and spousal support issues if you should divorce. The agreement may also contain conditions that could trigger enforcement, such as infidelity. If you’re interested in signing a marital agreement, it’s crucial to create one that is written according to your state’s laws; otherwise, it may not be recognized. As just one example of how state laws can differ, most require equitable division of property, although a few have community property laws. If you live in California, your agreement must state that, if spousal support is included in the agreement, both parties must have legal representation. Sometimes, there may be hesitation to create a prenuptial agreement because it doesn’t seem especially romantic to sign a document at the start of your married life that describes how you might divorce. But, if the answers to the bulleted questions included in this post suggest that a marital agreement makes sense for your situation, consider seeing a qualified attorney to discuss specifics. And, although asset division in case of divorce may be the most common thing that people think about in connection with these agreements, there are other benefits. For example, divorce proceedings, if they do take place, are usually more streamlined because the agreement lays out specifics. This can reduce stress and legal expenses while also saving time. These agreements also lay out specifics for any ongoing spousal maintenance, which eliminates the need for trying to figure that out during the emotional pre-divorce time. Finally, these agreements can be helpful even for couples who stay married. Some couples, as just one example, use this type of agreement to determine how they’ll manage household finances. Others do it to keep their individual debts separate or to preserve assets from a first marriage when a second marriage takes place. We recently wrote a blog post about crucial legal documents to review each year, and this list also works well as one to use for estate planning as a new couple. This post also provides information about safely storing important documents and creating an emergency preparedness plan for those documents. In this document, you can each share your medical care wishes for end stages of life, which would allow medical professionals to know how to proceed if you can no longer communicate those wishes. More specifically, this document can include what palliative care measures you’d want to reduce your pain, alleviate suffering, and manage symptoms. You can also list whether or not you’d want CPR and other extraordinary measures taken to resuscitate you. This document would also allow your new spouse and other family members to be clear about your wishes. Without it? Family members may debate the issue with your spouse, with conflicts sometimes ending up in court. Who wants that? The first document names who you’d want to make health care decisions for you if you couldn’t do so for yourself. This is different from a living will because a living will goes into effect only if you’re terminally ill, permanently unconscious, or otherwise so capacitated that your state laws recognize the document. With a more temporary issue, you’d need a medical power of attorney. With the financial power of attorney, you’re designating someone to manage your financial needs when you can’t, perhaps because you’re hospitalized. This person can access your bank accounts, pay your bills, and more. You can make this document so that it’s immediately in effect, or cause it to be triggered when you’re incapacitated. This lists who should inherit your assets, from cash and investments to real estate, vehicles, jewelry, household goods, and more. If you’ve previously created a will and now want what you own to go to your new spouse, your will will need updated. Or, if you’ve never had one created before, now is a good time to make one. You’d also name an executor and, perhaps, backup ones, who would carry out your wishes. If one or both of you have children, guardianship documents would list who should finish raising them if you can’t, which means he or she would make significant decisions about the children’s health, education, and more. If the person you name lives in another state, who should temporarily care for the children while more permanent arrangements are being made? What health care information should caregivers receive about the children? Any child support issues? This is a huge area to consider all by itself, as you discuss pros and cons of combining assets versus keeping them as is. This includes checking and savings accounts, as well as any investments. Also take a look at your retirement accounts and any other financial documents where you’ve already named a beneficiary. What needs changed? Talk about your savings goals, spending styles, financial risk tolerances, comfort levels with debt and so forth. If you’re going to invest as a couple, how and where? How do you feel about robo-investing where the process is largely automated but perhaps with lower fees? States vary in how married couples own real estate brought into the marriage, so it can make sense, if applicable, to find out how this applies in your situation. If you want to add your new spouse to a title to a home, a car and so forth, requirements also vary by state. If one or both of you are making name changes after your marriage, you’ll need to get an updated Social Security card, driver’s license, and so forth. Name changes should also be addressed for any bank accounts, credit cards, the local election board, and so on. What about insurance: auto, life, health, and homeowners? Property taxes? How will you file your income tax? And, here’s one more issue: credit reports and identity theft protection. No matter how you sort out the specifics of your financial situation, flawed information on one person’s credit report can also impact the person’s spouse, making this a double whammy for a newly married couple. Perhaps the worst situations also include identity theft. So, consider reviewing your credit reports. You are each entitled to one free one annually by each of the three major credit reports in the United States: Equifax, Experian, and TransUnion. This is mandated by law, through the Fair Credit Reporting Act (FCRA), and you can get yours by going to AnnualCreditReport.com or by calling 1-877-322-8228. Check to make sure information is accurate and ask for any fixes. If you see fraudulent-looking accounts, this could be a sign of identity theft, which needs promptly and thoroughly addressed. As this post has shown, there are numerous legal and financial issues that should be addressed by newlyweds. The challenge, of course, is that it can get expensive. So, what’s important is to have affordable access to qualified attorneys, ones that are knowledgeable about the laws in your state. The plan also includes financial planning services, and there is a special plan enhancement that can help you with identity theft called Identity Defender™. In fact, we offer the most comprehensive group legal services in the industry today. Employers: To talk about how a group legal plan can help your employees—from newlyweds to people throughout all stages of life—while also strengthening your workplace, please call us at 1-800-356-LAWS or contact us online. We’re ready to help!